ADK - Aidos Kuneen was founded on 6th June, 2017 and works without a single administration, such as a central bank. It is not a mineable virtual currency. This means in order to acquire ADK, you can go with an exchange. The coin follows the proof of work (pow) consensus. To stay updated with the latest news from Aidos Kuneen, you can find them on Facebook, Twitter, Telegram and Reddit. 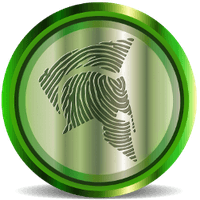 We don't have any exchanges listed for Aidos Kuneen yet, check back soon! We don't have any wallets listed for Aidos Kuneen yet, check back soon! We don't have any debit cards listed for Aidos Kuneen (ADK) yet, check back soon! We don't have any price charts listed for Aidos Kuneen yet, check back soon!